We were lucky enough to be able to purchase and bring in the Crown Jewel of Owen McGill's top Herd Sire Combination of "Hunts Command Respect" and "Hashbrown". This combo has produced both "Top Caliber" and "Sittin Bull". Both were syndicated for top Dollars. Now the youngest and only full brother comes to our line-up is '"RJL NIGHTHAWK". 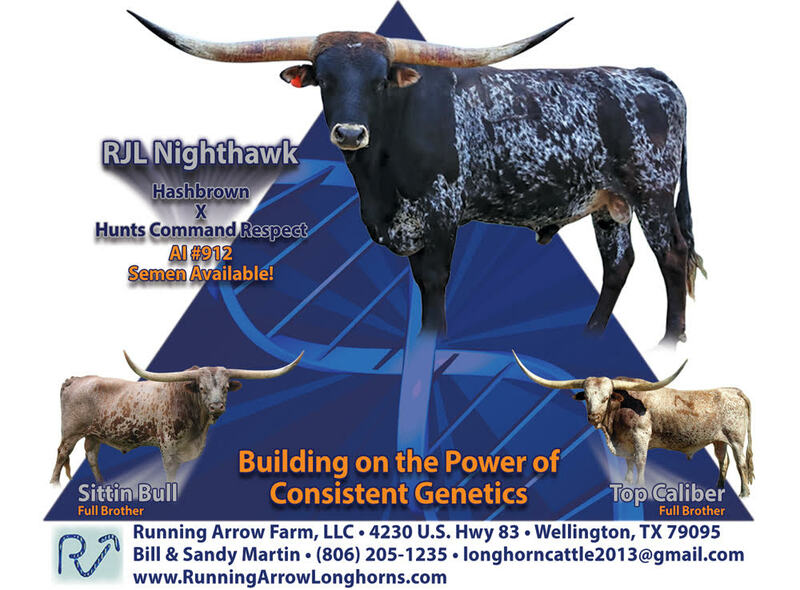 NIGHTHAWK not only carries the proven and consistent genetics of his brothers, lateral horn, and the additional home run of his striking Parker Brown coloring. His offspring will give value to any herd as already proven by his brothers. He will continue the awesome Legacy of the breeding that Owen McGill was so famous for. ALL 10 bulls listed below (current and reference) reflect both old and new McGill/Wilson breeding. "Only" Full Brother to "The Real McCoy". Bred and branded by Owen McGill himself. 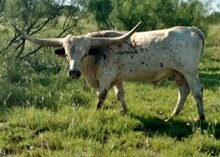 SR genetics are the result of Owen's 42 years of constructive line breeding. We are excited to bring the Consistency and Production Power that comes with this Pedigree. His first crop of calves are arriving. His dam, "Smoky Moon" is own daughter of "Sage Hen 02". "Sage Hen 02" is own daughter of "Hashknife". Note: Sage Hen and Hashbrown are full sisters. Bred and Branded by Owen McGill himself.